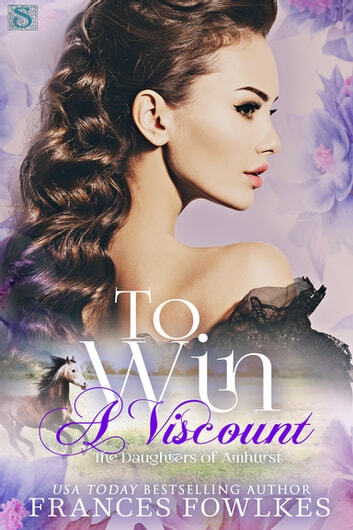 I wasn’t quite sure what to think of Albina when I started reading To Win a Viscount. She frustrated me with her blind adoration of man who did not notice her at all. I admired her scheme for him to fall in love with her, even though I did not agree with it for surely it would lead to greater ruin. I continued reading and she charmed the frustration right out of me and had me liking her a great deal. I enjoyed her growth into a steady, kind, and thoughtful young lady, and I loved how she did not struggled overmuch with realizing that she did not love the Marquess but it was our hero Edmund who had truly won her heart with his stolen kisses and riding lessons. Edmund, the heir to a viscountcy but wished for a simpler life with horses, was an interesting and amiable character. He was very good with Albina, patient and encouraging, and I enjoyed watching the manner in which he fell in love with her. Albina and Edmund story was a sweet and engaging one and I enjoyed them together. 4.25 stars. Beautiful message with a charming story. Albina knows what she wants but how far will she go to achieve it. As unique as her name Lady Albina is captivating. She has the gumption to dream bring and the heart to make her wildest dreams a reality. Her inner beauty and sense of adventure fly right off the page. Her willingness to achieve her goals however is not always in her best interest and lands her in an unlikely situation. Falling in love with the wrong man. Edmund has the heart, and adventurous spirit to be her perfect match. All he has to do is convince her that he's the man she wants. I received an ARC of To Win a Viscount in exchange for an honest review. There were times the story faltered but nothing major. Despite that it remained full of great qualities. The title doesn't make the man, the heart does. Beautiful message with a charming story.